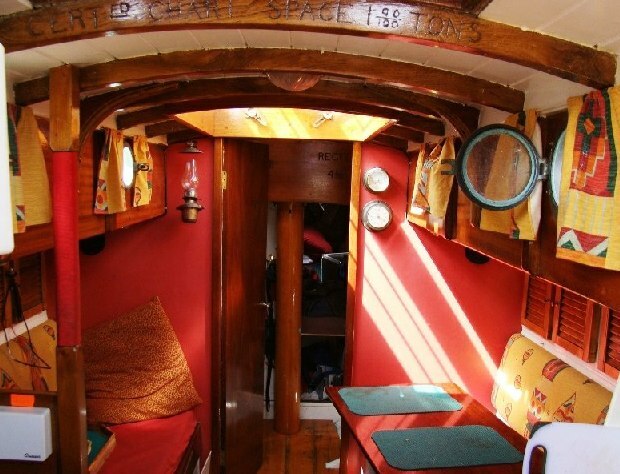 Rick Snell writes; “I bought Judy Anne in August 2014 from a couple in Mousehole, Cornwall, who had bought her the previous year in Mylor, Cornwall. She now resides in the Exe estuary at Starcross, near Exeter. I have no proof that she is a Harrison Butler but she certainly looks like it”. Following Rick's email, I looked up Judy Anne up in the Lloyd's Registers. She first appears in the list for 1939 where her designer is named as Harrison Butler. In 1977, for the first time, the designer's name is left blank; an acknowledgement that her build was derived from, rather than being a faithful implimentation of Harrison Butler's Englyn design. Nonetheless, the Association is pleased to include Judy Anne as an Invited Friend of the HBA . Peter and Patricia Budd, who owned Judy Anne for 18 years between 1984-2002 have been in touch (February 2018). They have photographs and information about the boat that they would like to hand on to the current owner, Michael Bunce, who the HBA is currently trying to locate.